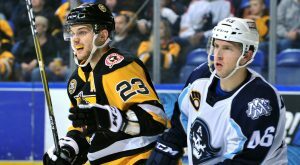 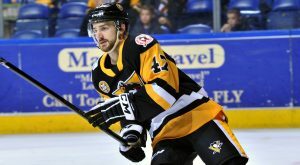 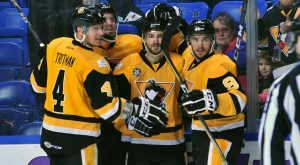 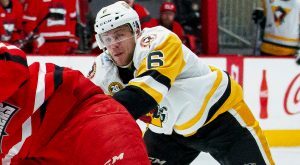 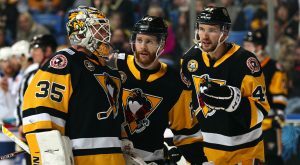 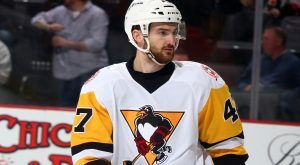 The Wilkes-Barre/Scranton Penguins staved off a furious comeback and defeated the Binghamton Devils, 5-4, in overtime on Saturday night. 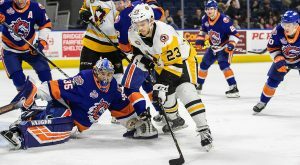 The Wilkes-Barre/Scranton Penguins woke up early and raced to a convincing 5-2 over the Bridgeport Sound Tigers on Wednesday morning at Webster Bank Arena. 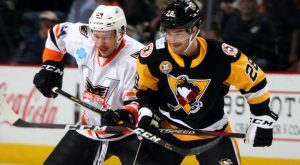 In tightly contested goaltender’s duel, the Wilkes-Barre/Scranton Penguins defeated the Lehigh Valley Phantoms, 2-1, in overtime on Monday afternoon. 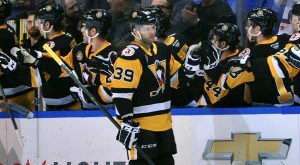 Special teams were the story on Saturday night as the Wilkes-Barre/Scranton Penguins fell to the Hershey Bears, 5-3, at Mohegan Sun Arena at Casey Plaza. 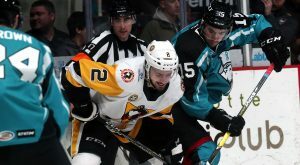 The Wilkes-Barre/Scranton Penguins fell to the Charlotte Checkers, 5-3, at Bojangles’ Coliseum in Charlotte on Saturday night.